I know for many of you it is not yet time to start thinking about going "BACK TO SCHOOL". But it is time for me. I start in just one week! I have done just a bit of shopping. I need to figure out what else I need and get to the store. Office Max just had their Teacher Appreciation weekend. Thanks to a 20% off coupon I have a new pencil sharpener. I hope this one lasts through the year. 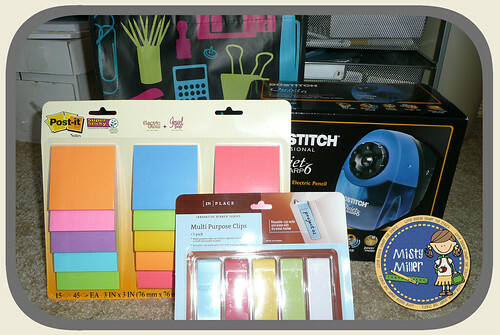 I also picked up some colorful post-it notes and some binder tags. I also ordered a new school bag. 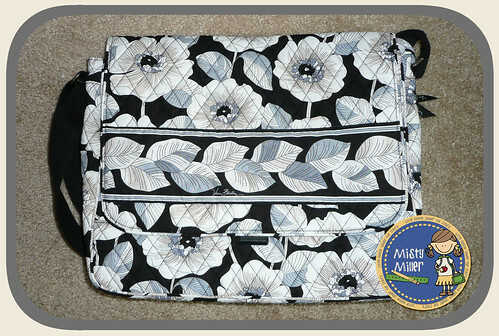 I bought the messenger bag from Vera Bradley. 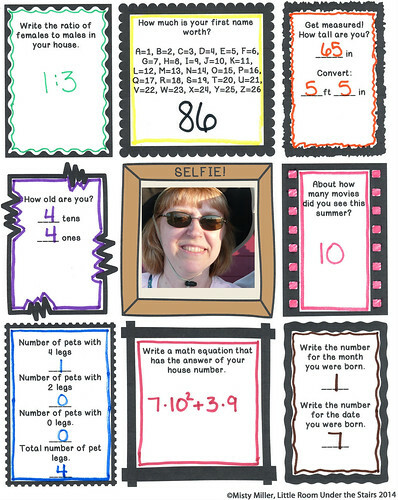 One of the activities I will be doing during the first few days of school is a Math About Me poster. I did one last year and my kids struggled to come up with their own numbers. You can see some examples in the post here. This year everyone will be doing the same thing for their numbers. I will also have one class of language arts this year, so I made one with math items and a blank one. Those kiddos are going to just give some information about themselves in each box. The middle box is for a photo. I plan to let the kiddos take selfies with my iPad and then I'll print them out and we'll glue them on. You can download for free the Math About Me posters (one with math items and one blank). Just click here or on the picture. If you have trouble with download, please let me know in the comments.